Your Ft. Collins dentist reminds patients to use dental insurance benefits before 2015 ends. Cleanings, exams and fillings count toward yearly maximums. You are grateful your employer provides dental insurance. However, you are not sure you are using its benefits to the fullest. Check your policy, and then call Ft. Collins dentist, Shiloh D. Lindsey DMD, for an appointment. Just like everything else in this economy, costs are rising, and both individuals and families struggle to make ends meet. They routinely cut corners to make every dollar stretch. However, people should not compromise their dental health for the sake of saving some money. Cutting back on routine exams, cleanings and restorative care compromises oral health and ultimately, leads to more complex and expensive dental services in the future. While policies cover only a certain percentage of dental fees, or ask that patients seek the services of certain “in-network” providers, the standard reimbursements are well-worth understanding the policies’ provisions. For instance, if an exam and cleaning costs $100, the plan may pay $55. While the balance of the fee must be picked up by the subscriber, patients should take advantage of the financial benefit and avail themselves of important preventive and restorative dental services. Dental insurance plans normally offer an annual maximum benefit–say for example, $1500 to put toward covered services. If that maximum benefit is not used within the calendar year, the benefit is lost and resets at the start of the new year. 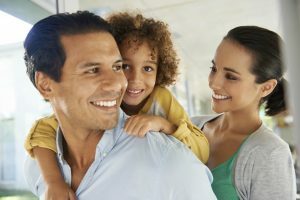 It’s advantageous for individuals and families to keep their routine dental appointments for exams, x-rays and cleanings so they do not waste plan benefits. Dr. Lindsey also urges patients to consider why they have dental insurance in the first place: it’s to keep smiles healthy and vibrant. The friendly staff at Aspen Dental Care is experienced in the “ins and outs” of dental insurance. They will assist you in filing your claims (and in making sure that end of year deadline is met). Additionally, when you need dental work, they will outline the costs and show you what your insurance will and will not cover. That way, you will fully understand the financial obligations involved in taking care of the dental needs of you and your family. Why not contact the office of your Ft. Collins dentist today? Set your routine appointment use the full insurance benefits you and your family are entitled to.